Over on the DL Deals Store, you can name your own price for the Game Developer Bundle, listed at a value of over $500. Inside, hopeful game developers can gain access to the Non-Coder’s Guide to Game Development, plus a Unity 3D Game Development course bundle. 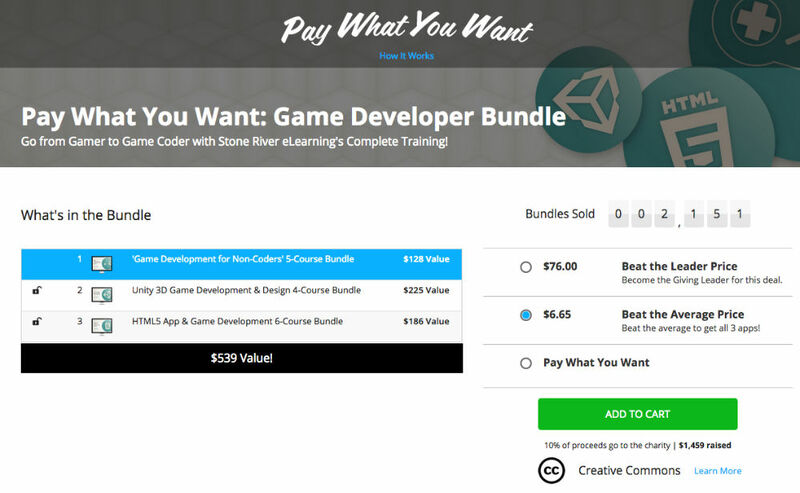 Each bundle, with 3 available in total, includes hours upon hours of content and courses, hopefully steering you in the right direction of game development. To claim all three courses, you only need to beat the average price, currently listed at under $7. Seriously, just $7. If you choose to pay under the average price, you will be limited to just the 1st course, the Non-Coder’s Guide. As an added bonus, anyone who purchases the bundle is entered to win a Samsung 50″ 4K TV and your choice of media device player. If game development is your calling, check it out by following the link below.